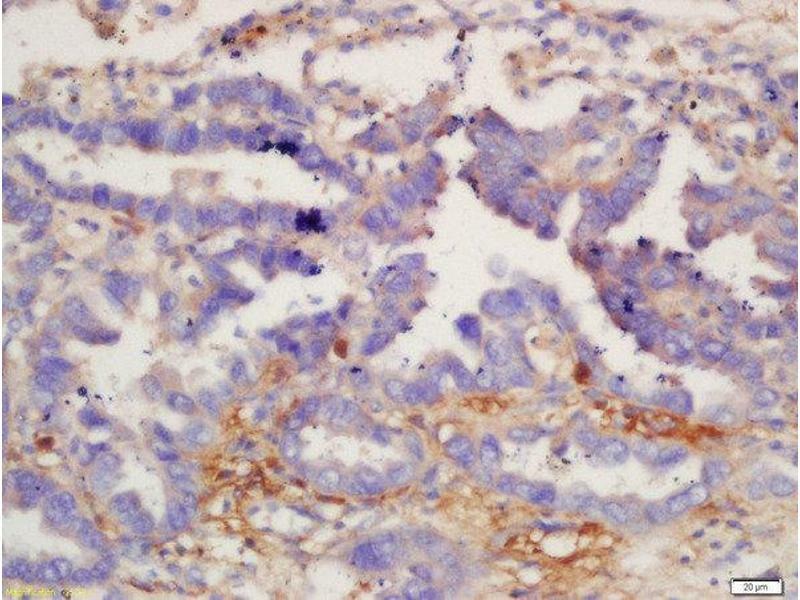 Mouse spleen lysates probed with Rabbit Anti-IL-12 beta Polyclonal Antibody, Unconjugated (ABIN2176964) at 1:300 overnight at 4 °C. Followed by conjugation to secondary antibody at 1:5000 for 90 min at 37 °C. 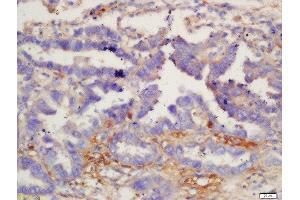 Formalin-fixed and paraffin embedded human lung carcinoma labeled with Anti-IL-12 beta Polyclonal Antibody, Unconjugated at 1:200 followed by conjugation to the secondary antibody and DAB staining. Cytokine that can act as a growth factor for activated T and NK cells, enhance the lytic activity of NK/lymphokine-activated killer cells, and stimulate the production of IFN-gamma by resting PBMC. Associates with IL23A to form the IL-23 interleukin, a heterodimeric cytokine which functions in innate and adaptive immunity. 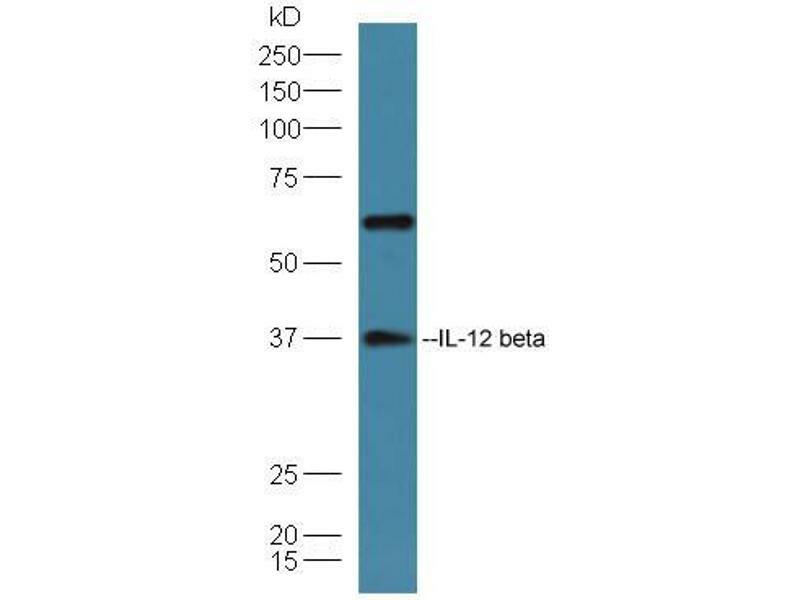 IL-23 may constitute with IL-17 an acute response to infection in peripheral tissues. IL-23 binds to a heterodimeric receptor complex composed of IL12RB1 and IL23R, activates the Jak-Stat signaling cascade, stimulates memory rather than naive T-cells and promotes production of proinflammatory cytokines. IL-23 induces autoimmune inflammation and thus may be responsible for autoimmune inflammatory diseases and may be important for tumorigenesis.